It was the Summer of 2011. The first time I saw a picture of Rich Froning. One year after my Dad passed away. I was researching creative workouts on the internet, so I could design something fun for a client. A picture of Rich popped up. I clicked on him thinking, Who is this guy, and What is he doing? The click led me to a new term I’d never seen before, Crossfit. Sounded interesting. The first WOD, workout of the day, I saw was Fran. For Time? Like, as quick as you can? That’s a lot of pull-ups, I can barely do one. And I have no idea what a thruster is… Trying it wasn’t in my capacity yet. I stopped looking at the workouts and I started trailing Rich. What I found is that he had just WON his first Crossfit Games. But, it was no ordinary win. The story immediately curled back to 2010 and his Failure during THAT Crossfit Games. The Rope. The Drop. His inability to Finish. The Loss. His Loss. I connected into those feelings. Oh man, this guy has a Story. I saw him for what he really was, and it had nothing to do with the Crossfit Games. I saw him as a Champion of his own Adversity. He may not have been able to finish that day in 2010, but he stood up the next day and figured out what he could do so that would never happen again. He began the Quest of Mastering his Weakness. We all know how that turned out for Rich. It’s 2015 and he is now the ONLY four-time Crossfit Games Champion. It’s compelling. But what is more compelling to me, is what occurred for him during those 352 days between the 2010 and 2011 games. That was all the energy I needed in 2011. It was inspiration that fueled me from within. I felt compelled to move again. To move in a different way. To approach all I’d done, and all that had happened with a new perspective. I was reinvigorated. What could I do now? 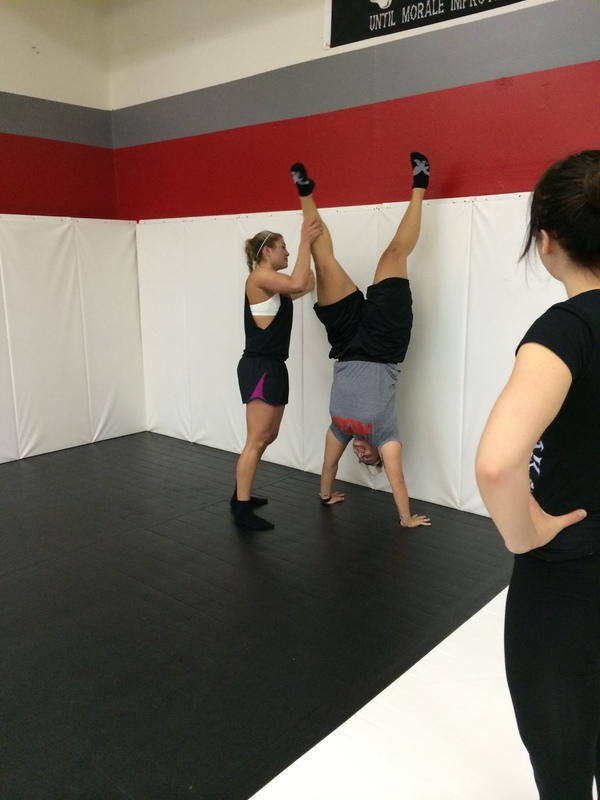 I started trying some Crossfit moves. Hang Power Clean was the very first, even though I didn’t know it was called that. Honestly, I only tried it because I saw another colleague in the gym doing it. He was my mentor, and I saw him trying something new. I was intrigued by his courage to do something that No One else in the gym was doing. He showed me the basic points of movement. Squat here. Shrug here. Catch here. Now you try it. So I did. And it hurt. I’m sure it looked more like a front bicep curl than anything. It fired up my lower back in a way that made me feel like the movement was nearly impossible to accomplish. I did 10 and my back hurt for a week. I wanted to quit, I didn’t want to feel that pain! But as soon as the pain subsided, I went for it again. This time, I lowered the weight. I made it more manageable. This time, it didn’t hurt. This time, I was able to do it with better technique. This time, I felt a rush of accomplishment. Wow. I started utilizing the Hang Power Clean within my High Intensity Workout intervals. It was a great way for me to get my heart rate up as if I’d just run a 100m sprint, without getting on the treadmill, without running, without my knees or feet hurting. I was hooked. I wanted more. 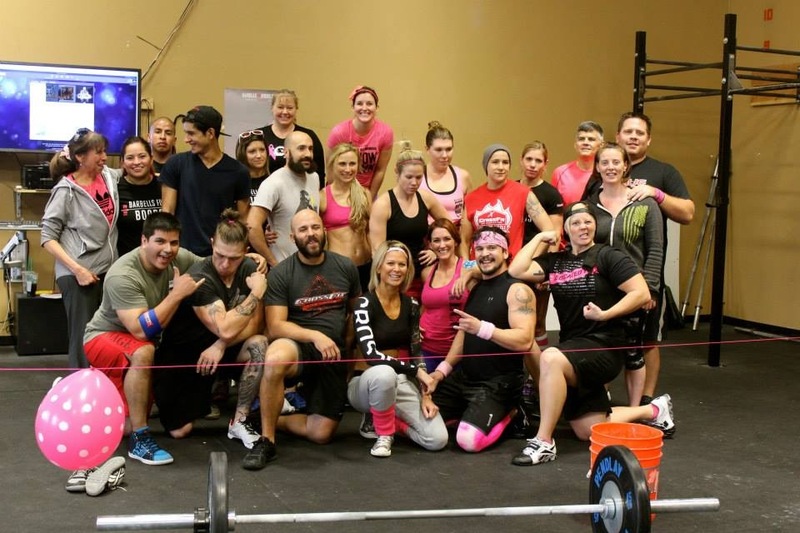 While this Discovery of Rich Froning and Crossfit occurred, I was in the midst of DEEP GRIEF. Most of the time I felt empty and lost, or stuck and stagnant. Not quite sure What I was doing anymore. Not quite sure Why I was doing what I was doing. Nothing made sense. I was so very sad and heartbroken. 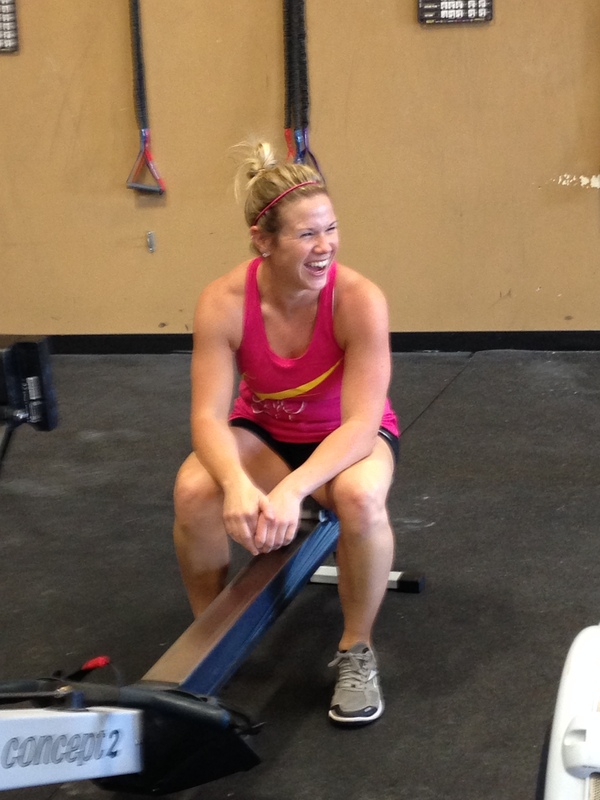 There was an energy of Inspiration around Crossfit for me, that moved me beyond the grief. It expanded Hope throughout my being. I saw FLEXIBILITY. I saw MOBILITY, ADAPTABILITY, and EMPOWERMENT. I saw an EXPRESSION of what I was already moving towards. EXCELLENCE. I saw Excellence as a Transformation of Power through Human Movement. Crossfit created a way to Measure that Power. I saw my own Capacity and Progress in that arena. It gave me a way to measure my progress that I understood, and that I really felt deep in my gut. It was a connection of Head and Heart as I saw it. I felt the inspiration and I could see progress through the inspiration. Sis has naturally perfect form. But, I didn’t tell anybody. Nobody knew what I had dipped into. I heard how many of my other colleagues at the globo gym I worked in talked about Crossfit, it wasn’t super positive. And at the time, in 2011, I really wasn’t sure What I had found, or What I was feeling, or even What I was going to do with it. I just knew I didn’t have the knowledge to engage in a conversation with my colleagues about what it was. I skipped taking debate class in college. 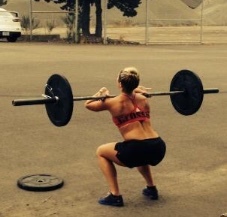 Mom had the Courage to join a Crossfit gym first. But here’s what I do have. AN EXPERIENCE. I knew I felt something, and I had to go for it. I had to try it. Now I am here. And I share this experience of a transformation of beliefs. It may have nothing to do with Crossfit, or it may have everything to do with Crossfit. I don’t know. Gigi Pre-WOD. Love that SMILE! 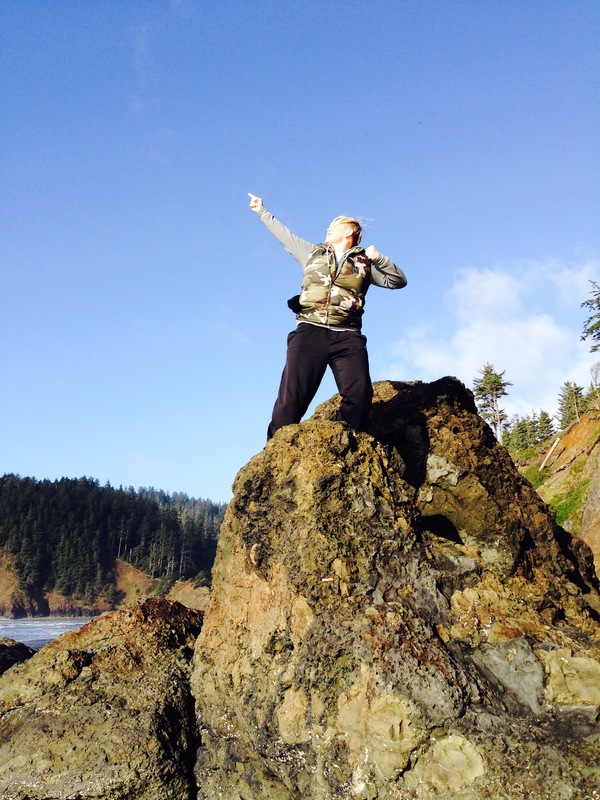 …through a connectivity of utilizing the WHOLENESS of my body, mind, & spirit INTEGRATIVELY. Everything is following suit. My blood work, physical tests, and blood pressure are all in great zones. My energy during the day is more than I’ve ever felt, and I sleep peacefully at night. I wake up with vigor and excitement of what the day will bring. I am continually inspired to engage in creative projects, connections, and relationships. I am inspired in ALL the other areas of my life, business, finances, spirituality, planning, dreaming again, for this inspiration that I’ve allowed to become expressed is expanding. Creatively. It’s quite an amazing thing. The Grief has transformed as well. It feels a bit like healing now. Yes, the loss is prevalent, and I do miss what I’ve lost, but now I focus on what I can do, how I can move, where I can go. Action. Movement. Motion. Emotion. Energy in Motion. Believing. Seeing. It is all inter-related. I didn’t know how to heal my heart. I didn’t know how to get the emotion to change. I got stuck on that HOW for a very long time, thinking it was inevitably impossible. That I would always be grieving. But, I did know how to recognize an opportunity for movement and take it. Physical Movement, and THAT was all the change that the Energy needed, to pass through, to move through, humbly, honestly. it feels like my Heart heals just a little bit more each day. As I face my own adversity, rising up into the raw truth of the moment, transforming pain into joy. Observing the progress. Noticing the changes. Learning how to believe that pain CAN turn into joy. Learning how to allow myself to be empowered through the present moment. 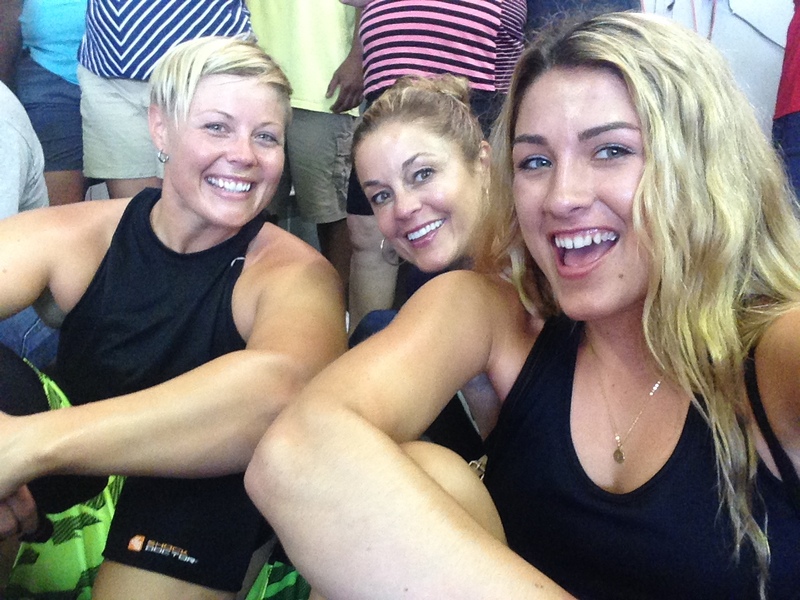 And THAT is how Crossfit helped me move through Grief. You are inspiring!!! You stepped outside your big box and tried something new and you are awesome at it. Rich Froning isn’t great cause he wins… He is great cause he works hard on all the days he’s not completing. That is what makes him extraordinary. Nothing has been handed to him. I always wNt to be like you! Thank You Donna!! I just appreciate being able to show up and work out!! Cant say that’ll happen at 6am anytime soon… But maybe we’ll catch you on the flipside sometime? I’ll never forget trying to chase down your Amazing OHS PR with your Amazing daughter. Even though it wasnt your real OHS number, it/you Inspired us in a MAJOR WAY!! Love this so much!! It’s hard to really comprehend all that has happened since you uttered those first words….Crossfit…what a domino effect it has been for our family. You inspire ME on a daily basis and make me the proudest Mom in the world!! Love you LaLa! !